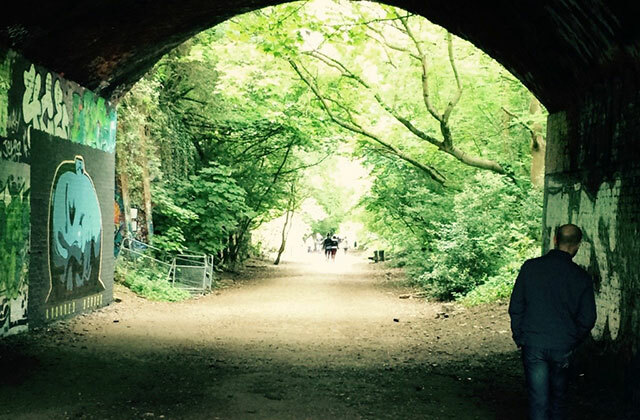 Parkland Walk is an important local resource, well-used and well-loved by thousands of local residents. The covenants on the land are clear, and any purchaser of 3 Francis Place would be well aware of them. For the owner to apply for a basement extension knowing there should be no vehicular access, or disadvantage to either neighbours, people using the Walk, or to wildlife, is at best disingenuous. For the Council to countenance breaking the covenant and allowing the excavations is a dereliction of civic duty. The covenant is there for a reason. This is Metropolitan Open Land. The site is landlocked, and was originally transferred by the council on the express basis that it would not be accessed by vehicles or used in a manner which prejudiced the enjoyment for local residents of Parkland Walk. A basement excavation, if other local examples are any indication, will certainly impact on what is a pedestrianised area, especially if vehicles are admitted onto the Walk – no amount of precautionary measures will be capable of preserving the serenity and attraction of the Walk during construction. The Neighbourhood Forum also notes the length of time proposed for the works and suggests that this is woefully underestimated, especially as the draft Neighbourhood Plan has a clause to limit the number of hours of noisy construction in line with that of Kensington and Chelsea. This would add substantially to the duration of any works. We are also concerned about site traffic in the surrounding streets. There is a very narrow turn between Northwood Road and Holmesdale Road, unsuitable for a stream of heavy vehicles. We do not believe the CMP fully addresses this issue. If the project works cannot be built without disruption to Parkland Walk and its users (which seems to be the case) then the CMP should be rejected.